We celebrated AT’s birthday in August. 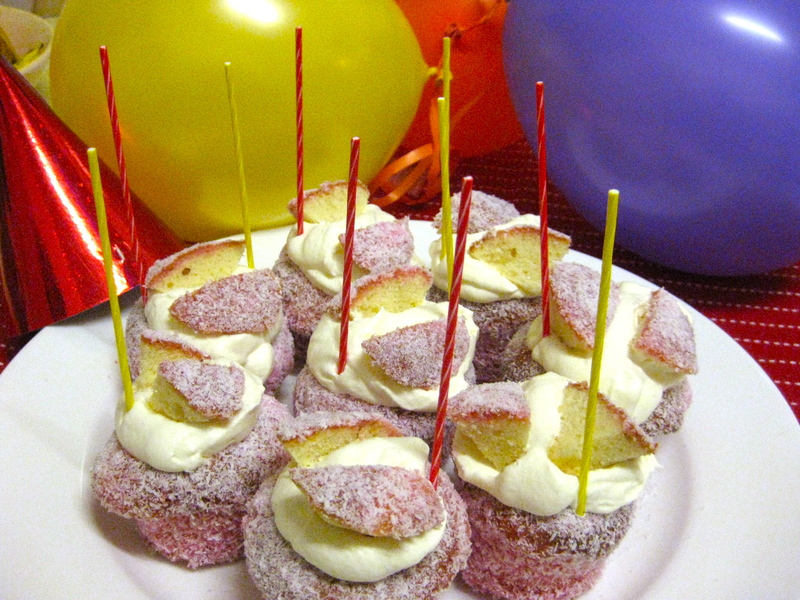 He requested these jelly cakes for his birthday cake. He turned 36. What can I say, he loves cupcakes! I was recovering from Gall Bladder surgery, so I cheated a bit and made cake mix cupcakes, which worked out great – as always. Buy 2 packets of jelly (or jello for the US) crystals, Raspberry flavour is my personal recommendation. Mix it up with half the water specified. When crystals are disolved, and mixture still warm, place the bowl next to another bowl of desicated coconut. Dip cakes into jelly, get complete coverage. Then roll thoroughly in coconut. Pop them in fridge to set. Just before serving, whip the cream and then using a sharp knife cut a cone-shaped wedge out of the top of the cakes. Cut the cone in half. 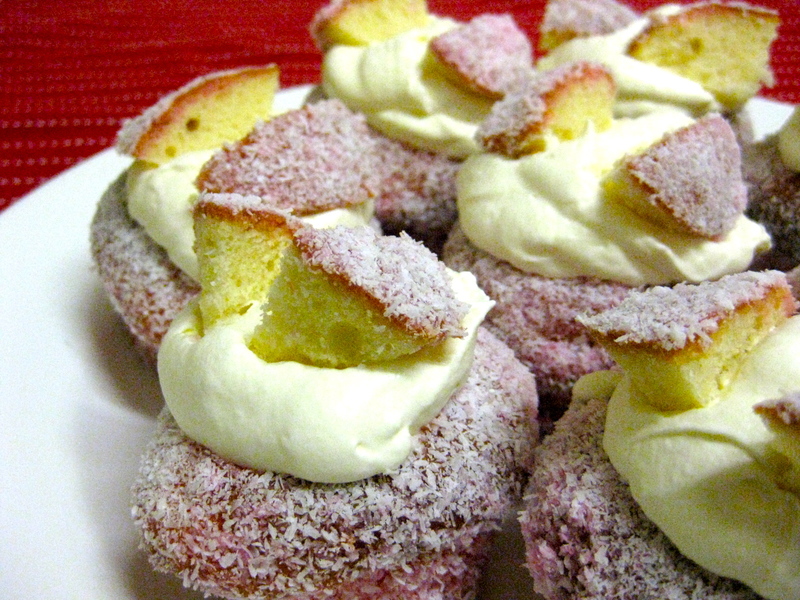 Fill the remaining hole in the cupcake with whipped cream and place the two ‘wings’ or cone halves on top.